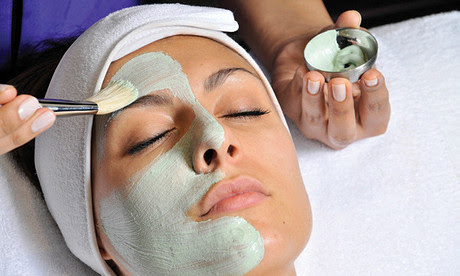 Don't miss out on upcoming facial workshops, yoga classes and more. Freya is known in Norse mythology as “The Lady.” She is full-to-the- brim with Life and Love, and brings that life, passion, and magic to everything She touches. Freya possesses the ability to connect passionately to the beauty in all things, and She shares that ability with each of us, enabling us to know the truth of our own beauty. Freya is the Norse Goddess of love, beauty, youth, fertility, war, death, divination, magic, and wealth. Join us as Freya reminds us to explore and acknowledge all our emotions, longings and traits, even those we wish we didn’t possess. Sulis, Goddess of Healing, Prophecy, and Blessings is associated with healing waters and served by priestesses who kept Her eternal flame burning. The perpetual fires and the hot waters remind us of Sulis’s origins as a Sun Goddess. Sulis’s power reflects the divine light of the sun filtered through the healing power of water, helping Her human children and their plants to grow and prosper. Join us as we call on Sulis for blessings on our personal journeys to light, health, and wholeness. Baba Yaga is a Slavic Goddess of harvest and regeneration—death and rebirth. You align yourself with Her by being willing to accept Her deep wisdom, knowing that even if it is not what you want, it is what you need. The more you align with Her wisdom, the more easily you will be able to work within life’s cycles, and the more truly you, you will become. Baba Yaga is untamed. You call her to you by letting go, by trusting in Her Wisdom, and by being willing to release the past. Please join us as Baba Yaga brings us into the wild present, where all of our power is. She makes us face truths we may not want to accept, but within these truths lies our true path forward. 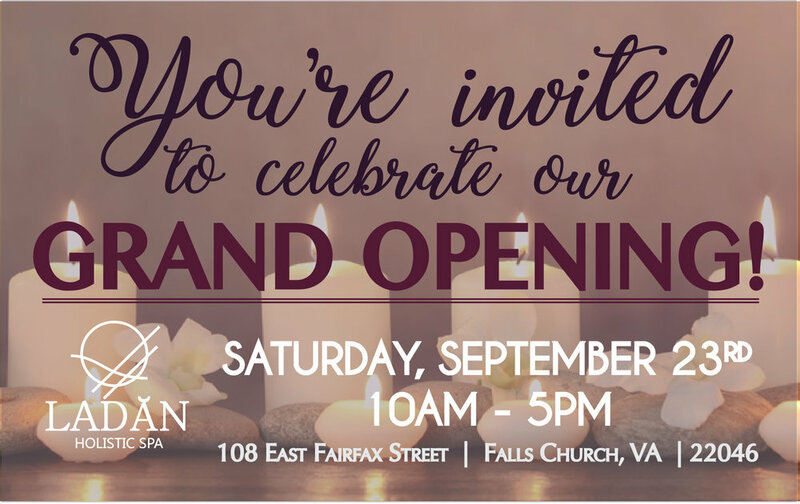 Pop through for a bit or come spend the afternoon at our brand new spa location in Falls Church! All are welcome, bring a friend or two! Refreshments and appetizers will be provided. Thank you for your ongoing support through this transition. We CAN'T WAIT for you to come enjoy our new home! Pele is a Polynesian Goddess of Fire and Volcanoes. One of Her stories says that She was exiled from Tahiti because of Her temper. Sailing in a great canoe, She made Her way to Hawaii, where she used Her magical digging stick to create the volcanoes that rise up across the islands. Pele is said to reside inside the Kilauea volcano on the Big Island of Hawaii, but all the volcanoes of Hawaii are included in Her domain.She is a goddess of fire, lightning, dance, wind, volcanoes and violence. Her poetic name means the woman who devours the land. She is both a creator and destroyer. She throws molten fountains into the air and governs the great flows of lava. With her power over the volcanoes, she created the Hawaiian Islands and to this day, she has been known to reveal herself throughout the beautiful islands she crafted herself. Pele awakens our inner fire, and prompts us to express the truth and power of our own ever-evolving spirit. Hestia is the Greek Goddess of family, unity, domestic life, and most importantly, the fire that burns within the hearth at the center of every home. In her wonderful book, Goddess Meditations, our friend Barbara Ardinger says: She [Hestia] is so holy that She was seldom portrayed as anything more than a flame. This ancient, holy Goddess is the oldest of the Greek Gods and Goddesses, and the gentlest—yet Her power and Her presence are accessible for all who call upon Her. Together with Her, you can tap into the sacred power that lies within the space you call home. Please join us as we learn about how Hestia is an archetype of inner centeredness and inner wisdom! Please note that due to scheduling issues we are again switching the day and time. What does it mean when someone praises the divine feminine? Or when someone says the divine feminine is the way to healing and enlightenment? Or that the divine feminine is reawakening our world at this time, heralding a return to higher frequencies of light and thought? Is it tied to religion? Or is it a spiritual concept? What is its history and where are its roots? The answer is simple. The divine feminine is the goddess is in all traditions, and has been since the beginning of time. These traditions are a mystical, magical, powerful, part of primal Mother Earth. They symbolize balance and healing, renewal and restoration. Please join us as we explore the divine feminine present in us all. Please note that due to Mother's Day, we are meeting a week later than usual. On our journey to discover our inner secrets and mysteries, we may find it valuable to explore the dark, hidden crevices within our psyche. This place is called the "shadow self." Your shadow self is the part of us that stays unknown, unexamined, and out of the light of our conscious awareness. It is the part that is denied or suppressed because it makes us uncomfortable or afraid. Whatever doesn't fit our image of our ideal self becomes our shadow. The good news is that as we explore our shadow, we become healthier and happier. Please join us as we begin to shine some light into our own darkness so that we may achieve authentic balance and wholeness. Black Friday Shop & Save! Ladan Spa's exclusive Black Friday shopping event! Stop by on your way to or from Tyson's Corner Shopping Center! We're located 0.9 miles away, just across Leesburg Pike. Receive a FREE 8 oz. Vanilla Spice Body Scrub with any $100+ gift card or spa package purchase! 15%* on 3 or more products! They make the perfect holiday gift for teachers, friends, grab bags, hosts and more. Our exclusive natural product winter scents will be making their debut! NEW hand poured, 100% soy candles made in recycled, hand cut wine bottles, will also be available for purchase. Come stock up for the holidays & give the gift of naturally radiant skin! *Discount excludes jewelry, deodorant & soy candles. Join us Sunday October 23rd, beginning at 10:00 AM, for a powerful afternoon dedicated to self healing. Click the event flyer below to enlarge and learn more. RSVP in the form below! Stop in for a bit, spend an hour, or relax all afternoon at our upcoming 'Fall into great skin' Open House Spa Party! All are welcome, feel free to bring a friend! 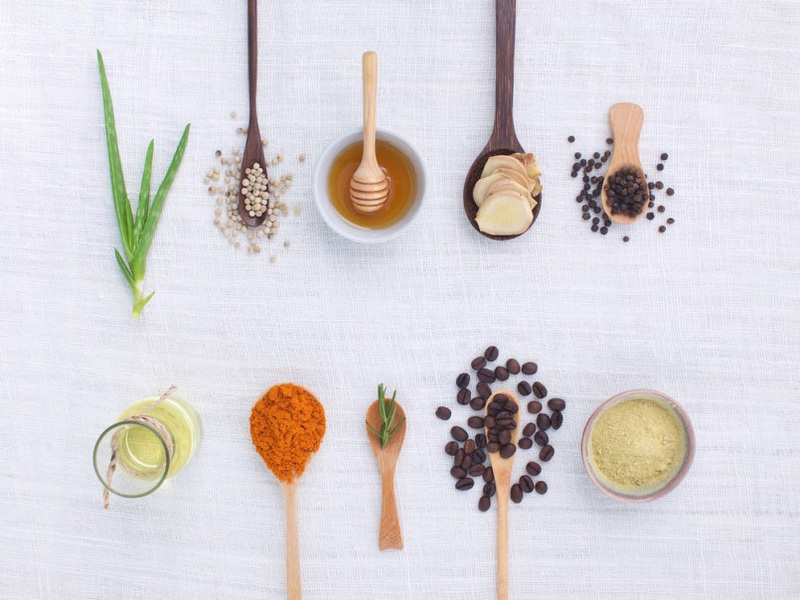 Mini facial workshop, hosted by Shirin, teaching you how to make a delicious & effective DIY Pumpkin-Cinnamon Enzyme Mask. Plenty of mingling, opportunities to learn about natural skincare & delicious seasonal snacks and beverages! Of course, there will also be a giveaway! Get entered to WIN a 60 min. Swedish Massage, with our new massage therapist Ashley, with any $35.00 product or 'mini-service' purchase. Bringing a Guest? If so, how many? 1 2 3 4 5 lots! Yes, I would like to book a mini-service (or two)! No services for me. I'm attending for the workshop & goodies! Please choose your preferred Mini Service(s). If your guests are enjoying any of the above checked mini services, or you're celebrating a special occasion, etc.... please specify it here. We'll do our best to accommodate your preference. Mini service appointments are first come first served. Thank you for your RSVP! We look forward to seeing you on the 15th for a relaxing afternoon. Join us for a healing and relaxing yoga class with Tina on Wednesday July 27th beginning at 7:00pm! Integral Yoga Haṭha is a comprehensive system for personal transformation—physical, mental, emotional, and spiritual. Each class incorporates postures, deep relaxation, breathing practices, and meditation that result in a profound experience of peace and well-being. Students of any age and condition are encouraged to explore each posture at their own pace with mindfully observing what arises without judgment. By balancing effort and surrender, the student is able to discover the optimal flow of energy to achieve greater flexibility, strength, poise, and mental focus. Besides promoting the health of all the systems in the body, the Integral Yoga system is designed to draw the student into a physical and mental stillness that leads to an experience of one’s true nature, which is ever peaceful and happy. 90 minute class is $18. Space is limited. Students must bring their own yoga mat. Join us for our next free facial workshop, featuring the most powerful, helpful and all around wonderful fruits to take care of your skin throughout the highs & lows of the summer season. Learn how to use certain summer fruits to naturally control oil production, acne breakouts, soothe sunburn and more! Make your own fruit filled face mask & give yourself a mini facial, including cleansing, toning, exfoliating, tightening & purifying mask and moisturizer. Sip our homemade refreshing watermelon-mint beverages. Get entered to win a FREE 45 minute, Swedish massage with any $35 product purchase (value of $105). Bring a friend, or two! All are welcome. We look forward to seeing you! Thank you for your RSVP! We look forward to seeing you on June 12th! * Please arrive a few minutes early to accommodate check in and payment prior to the class starting. Thank you! We look forward to practicing with you on June 4th! Style Makes me Happy Hour! Come enjoy a little champagne or a cold one, relax at the spa and shop the latest spring looks from Stella & Dot. Bring a friend, all are welcome! Thank you for your RSVP! We look forward to seeing you next week! Mother's Day Weekend Spa Party! Join us for a relaxing and fun-filled afternoon at the spa, celebrating the wonderful mothers in your life!